Even if it’s not one of the most used features, because not all Android users are English native speakers, Voice Search has an important role and the Google Speech Team improved the system in order to be able to identify words faster, and not only fragments of sounds. Now, Google App’s Voice Search will be more efficient in noisy environments, but more about this feature and its changes, you’ll find out in this article. On the Google Research Blog, the company announced that they’ve added new computational models and they are “are more accurate, robust to noise, and faster to respond to voice search queries models.” This will make the voice search feature 300 milliseconds faster, but in some cases, the application will feel even 500 milliseconds faster, if the device has high end specs. Google gave more details about the new application and how accurate it is, saying that the “neural network acoustic models” have been improved by using Connectionist Temporal Classification and sequence discriminative training techniques. We didn’t get a metric on the accuracy improvements, because Google didn’t go into detail too much, saying only that these are extensions to the recurrent neural networks, helping the voice search to be more efficient in noisy environments. For words such as “museum”, the technology uses a Long Short-Term Memory (LSTM) RNN, which is able to memorize information better than RNNs because of the advanced filtering mechanism (memory cells and a sophisticated gating mechanism). Google didn’t stop here, and they pushed things further, training the models to recognize phonemes without making predictions every instant, and now they output a sequence of “spikes”, revealing sequence of sounds in the waveform. Thanks to the artificial noise which trains the sequences, the words are easily recognized in noisy environments. The 300 milliseconds delay, which affected the way the model recognized the phonemes, has been fixed, and the model has been trained to predict the phonemes faster. Google integrated these models into the Google app for Android and iOS, which the dictation with the new model is live on Android OS, but Chrome OS the Chrome desktop will have to wait until these changes will be available for them, as well. This application will help you find information on the internet or on your device, and to search for a word or phrase, you will use your voice. To “wake” the voice search feature, you will say “Ok, Google” and after giving the voice command – let’s say that you’re looking for a restaurant or hotel, this feature will provide you results based on your location (this means that it will also collaborate with the GPS enabled on your device). You can order this application to give you sports scores, traffic alerts, updates on movies, events, weather or news. 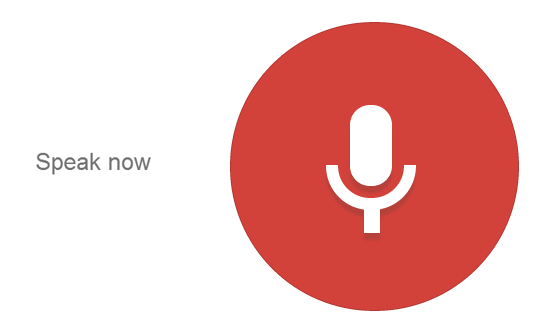 More than that, “Ok Google” can be set to remind you to make calls or to lock your door. The information you’ll require will be delivered on cards and you’ll get to choose the ones that are more relevant. On the google.com/landing/now/#cards website you’ll find examples of customized cards, but you will need to sign in, in order to get them. – “Personal results” will provide results even if the device is locked etc. Previous articleiPhone 6S and iPhone 6S Plus – From Where And How To Buy Them?